Large, clear LCD numbers report the time, month, date, and temperature in F or C and includes a display light. 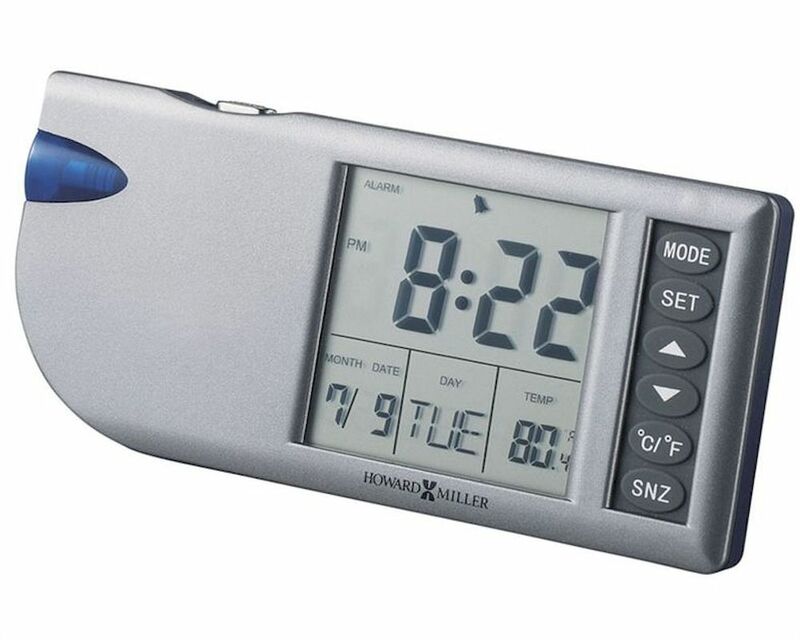 Features a 5-minute snooze alarm and display light for viewing at night. 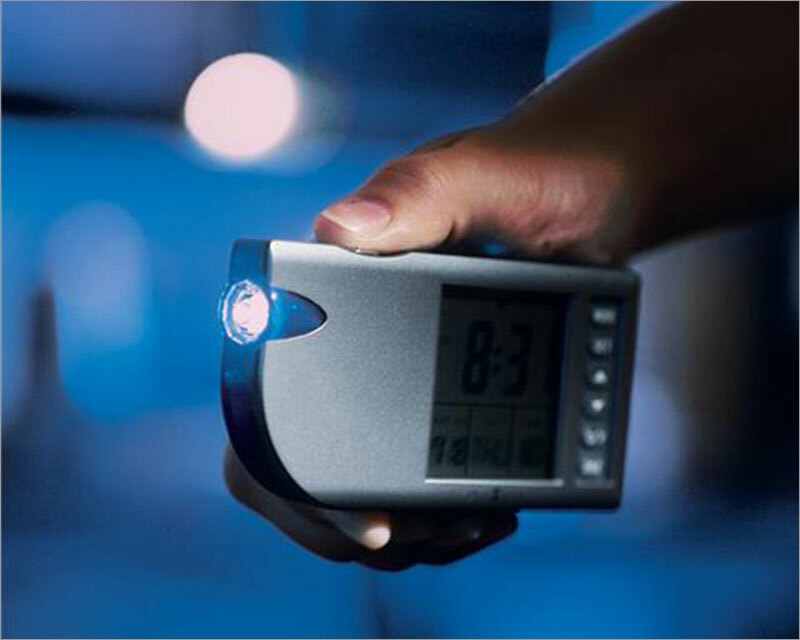 Quartz, battery-operated, alarm movement includes two LR44 sized batteries for the clock and two AAA sized batteries for the flashlight.